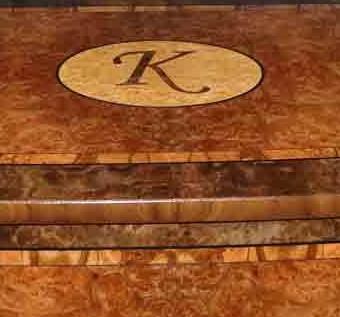 This humidor was designed to hold a lot of cigars yet fit on a table top. It has a capacity of 200-300 cigars, depending on size. 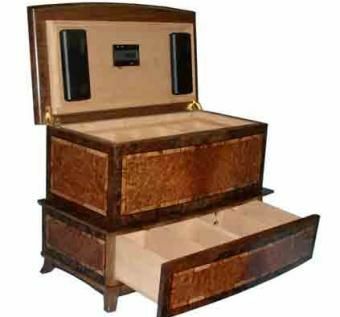 Everything in this humidor is top of the line including Paradigm humidifiers. 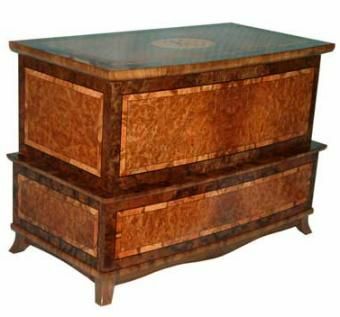 The woods are Elm Burl, Walnut Burl, Pimento Burl, Maple Burl, Spanish Cedar, and Walnut. It is 24"W x 16"H x 12"D.
Dimensions: 24"W x 16"H x 12"D.